With over 16,000 injection molding and plastic manufacturing facilities in the United States, there is no shortage of companies to choose from. When choosing a provider, many factors should be taken into consideration, including capabilities, quality assurance, cost, company reputation, and delivery time. Finding the right plastic injection molder to fit your needs may seem daunting, but determining your volume requirements first and foremost — and how they may shift over time — will help narrow down your options. Prototyping — Because low-volume injection molding is a fast, inexpensive process, it’s ideal for quickly producing prototypes to test fit, form, function, and production-method feasibility before finalizing the design. Low-volume production runs — For applications that don’t require hundreds of thousands of parts but still necessitate injection molding — such as many medical devices — low-volume injection molding provides an efficient, cost-effective solution. Market testing and pilot production — Low-volume molding is also ideal for “bridge tooling,” tooling that bridges the gap between small production runs for market testing and full-production tooling. This process is also used to get products moving while full production tooling is being completed. These companies specialize in medium-volume production runs, typically between 10,000-750,000 parts. Depending on run size, aluminum or pre-hardened steel tooling are most frequently used for this process. 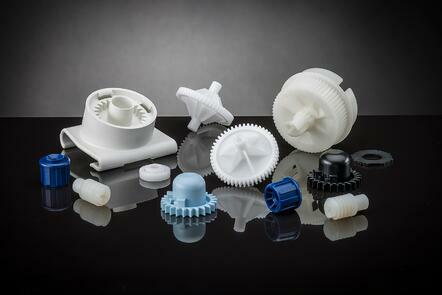 A high-volume plastic injection molder specializes in jobs requiring over 750,000 parts. Large-volume molders can reliably produce hundreds of thousands of parts with repeatable accuracy and quality. Because these high-volume specialists have invested in the best-quality hardened steel molds and the latest technology, they typically only accept orders of 750,000 parts or more. 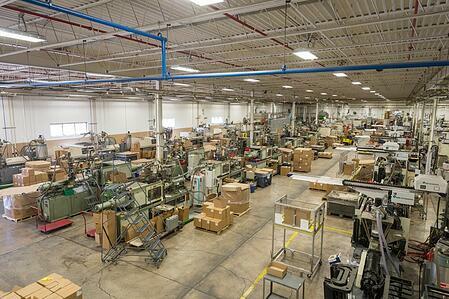 Here at The Rodon Group, for example, we handle orders of 1,000,000 pieces or more. High-volume plastic injection molding not only allows for high-tolerance precision, low scrap loss, and cost savings, it also requires minimal post-production work. Before contacting a plastic injection molder, be sure to familiarize yourself with their capabilities to ensure the possible best service and turnaround times for your project. When looking for a high-volume manufacturer specifically, consider every element of the manufacturing process and the company’s reputation for quality. Do they offer design, toolmaking, and manufacturing all under one roof? Turnkey solutions help streamline your injection molding process and save time. To learn more about the Rodon Group’s high-volume injection molding capabilities, visit our capabilities page or contact us today.